Eskisehirspor needed a win to stand any chance of staying up, on Friday night when they faced Medipol Basakehir in their own ground, the Eskisehir Atatürk Stadium. However, a late goal from Sokol Cikalleshi meant a 2-1 defeat and resulted in relegation to the second tier from the Turkish Super Lig. 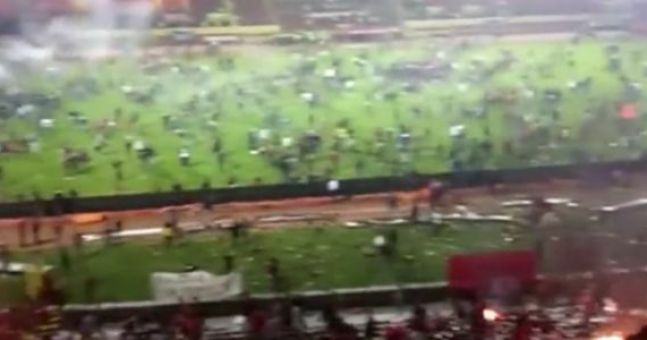 The loss confirmed what fans had feared all season, and well, supporters did not take well to the news, as they thrashed and burned their own stadium. It’s worth noting they are moving to a new stadium this year, but this shows the sheer stupidity of some people. What do you think? Have your say below! The Firms Copyright © 2019.